No matter what your fight styling, our research and experience with successful couples revealed the process to get to the heart of the fight and grow closer through conflict. As you become adept at what we call the Battling to Bliss process—a process that consists of six key relationship skills—you’ll fight in ways that help rather than hurt the relationship, and that foster the intimacy and fulfillment you seek. Understanding and intimacy through conflict takes work, but the benefits are well worth it. Understand that the success depends on you, not your partner. The skills of conflict completion build on one another, and you will apply them uniquely, in sequence or individually. Interpersonal improvements are a result of each of you learning and growing—getting to the roots of the fight and meeting your underlying unmet needs. So take responsibility for these skills rather than replying on your partner to be more empathetic, understanding, and so on. The best way to take responsibility is becoming adept at the six key relationship bliss skills. Once you are proficient at using them, you’ll fight in ways that help rather than hurt the relationship, and that foster the intimacy and fulfillment you seek. We’ll share three of the six key skills below. For the other three skills, be sure to look for our new book, The Heart of the Fight, to be released in 2016. We start by reawakening our moment-by-moment yearning to see and be seen, touch and be touched, to love and be loved, to matter, to contribute, and to make a difference. Out fights are unconscious attempts to get our unrecognized yearning met, or a protest against them not being met. Great relationships require stepping out of routine and habit, and this skill begins by alarming to have our yearning guide us in our interactions. You’ll unpack your fights and use what you find to get to the true yearnings underneath. You’re blaming him for forgetting you hate cilantro in the dish he’s just prepared, but what you really yearn for is for him to acknowledge that you matter. Spontaneous, uncensored, in-the-moment responses to yearning happen when we engage. This often means experimenting with different ways of being together. Once we stop trying to defend ourselves or win the argument and look for the yearning and engage from that, we begin learning about ourselves and each other. You will not only engage in meeting your own yearning, you will also recognize and meet the yearning of your partner. By following the rules of engagement you’ll minimize your destructive interactions and maximize your constructive, creative exchanges. Not all goes smoothly as we yearn and engage. We become more aware of ourselves, our inner motivations, our historic programming, and we share more of ourselves. In this skill, you dig down deep to see what is really going on with you; unearth why certain actions set you off and what it reveals about you and your unfinished business—and share that with your partner. You begin to discover your Matrix—the web of neural pathways that encode limiting attitude, personal biases, and mistaken beliefs. These comes from early relationship pattern programming that is downloaded, often before we even had laugh or specific memories. You are discovering the key elements of your matrix that need to be challenged. You find productive ways to be curious about yourself; you become self-reflective, and self confronting. You will also seek feedback from others—especially the feedback that comes in the form of your relationship. Do You Know Your Relationship Style? 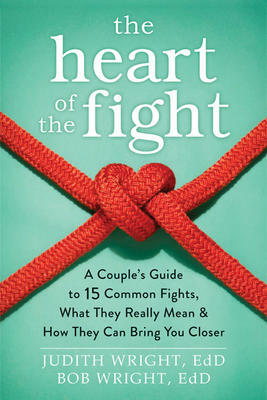 Every couple fights – it’s how you fight that can determine the success of your relationship. This book teaches you to look beyond what you and your partner fight about, and discover the core issues that undermine your relationship. Learn how to use disagreements as an opportunity to deepen your understanding of your partner, bring more intimacy to the relationship, strengthen your bond, and really learn from the conflicts and tensions that occur between you and your partner.